The Spirit of Speyside Whisky Festival has revealed its calendar of 665 events for 2019 – over 150 more than it hosted in previous years – as the festival prepares to celebrate its 20th anniversary. 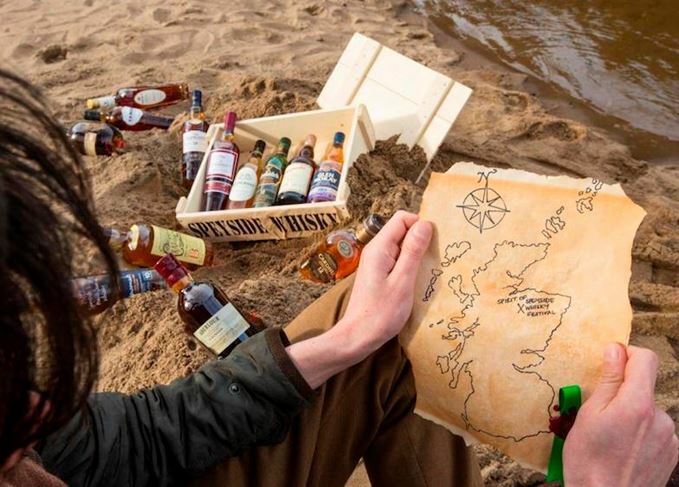 The Spirit of Speyside will offer ‘behind the scenes’ tours and tastings at distilleries, cooperages and warehouses across the region in addition to outdoor activities such as golfing, canoeing and whisky caching, a treasure hunt across Speyside to find clues leading to hidden bottles of whisky. The festival will also offer ‘community led’ events driven by music and food, such as its annual opening ceilidh, as well as cultural events such as film screenings and poetry readings. James Campbell, Spirit of Speyside Whisky Festival chairman, said: ‘It’s hard to believe that the festival has been around for 20 years, but when the team launched the festival they knew they had created something very special that had the potential to attract a global audience. The full list of events is on the Spirit of Speyside website, while tickets to the events will be available to buy on Tuesday 5 February at 12pm. Last year, almost 5,000 tickets to festival events were sold within 24 hours of going live, with 116 of those events selling out on the first day. This year’s festival attendees also have the opportunity to win a bottle of whisky ahead of time by taking part in an interactive quiz designed to test their whisky knowledge.